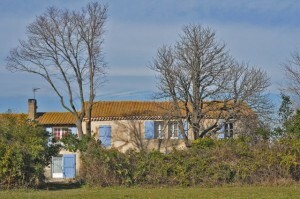 Near the Marais du Vigueirat on a farm, in the direction of Port-Saint-Louis du Rhône, the Gîte du Vieux Mas offers two air-conditioned cottages with a capacity of 4/6 persons. You will enjoy the heated swimming pool (mid season) and a large garden with swing, private terrace and parking. 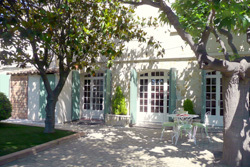 Located in Mas-Thibert on the edge of the Vigueirat canal, Veronique and Jean-Pierre will welcome you warmly in this country house dating from the seventeenth century, renovated and granted 4-star by Bouches du Rhône Tourisme. Very spacious, it can accomodate 6 persons who will have access to different activities (swimming pool, bowling, barbecue, fireplace, walk path, fishing, shaded straw hut, outdoor activities for kids…). 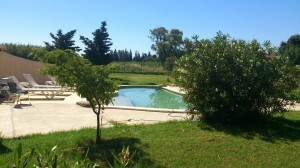 Relaxing holidays or week-end guaranteed for families in this ideally located property near Arles. 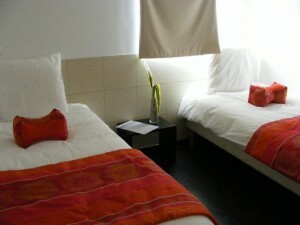 Set of two spacious and comfortable cottages decorated in a modern style with new equipment, trendy shades. In total 65 m2, a large living room, 2 bedrooms (1 couple bed- 2 single beds) -bathroom, dressing. Each cottage has air conditioning in the living room, parking, garden on the ground flour and upstairs terrace. “Les Bastidettes” are located in an agricultural estate of 25 hectares surrounded by olive trees, in a quiet countryside of Arles. Located at five minutes from the Marais du Vigueirat, the Mas de la Côte Neuve offers two cottages in an 18th century property which has been extensively refurbished to offer a unique decor combining modernity and authenticity. Both cottages have their private terrace with all garden furniture (barbecue, deck chairs, umbrellas…). You can relax in the big garden of over 2000 m² and enjoy the swimming pool and the hut perched in an old plane tree that will delight all children. The biggest cottage (250 m²), can host 8 persons and has a large fireplace. 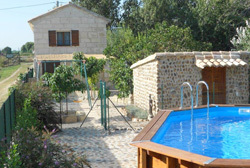 The second cottage, 200m² can host 6 persons. 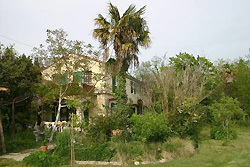 Carole et Patrice will be happy to welcome you in a cottage on the ground floor of an authentic Camargue farmhouse. Located in the countryside, surrounded by meadows and old trees, you will find the old village flour mill, a spacious and comfortable cottage and two guest rooms, in a rural environment. Enjoy the animals of our farm (poultry, goats, sheep, donkeys and horses). Located at five minutes from the Marais du Vigueirat, this house is ideal for nature lovers and ecotourists. 15 minutes from Arles, 20 minutes from the Alpilles and the immense beaches of Camargue, many visits and relaxation venues. 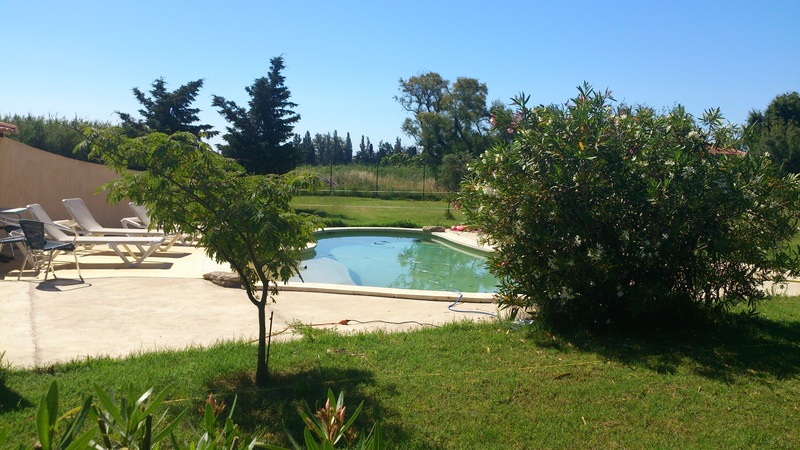 In a fenced property of 7000m² with electric gate and private parking. 2 non-smoking air-conditioned lodgings with bedroom, living room, dining area with hotel equipment, bathroom, TV, free Wifi, swimming pool and jacuzzi. Ideal for nature and calm lovers. Close to major cities ! Bicycles and petanque available and free of charge ! 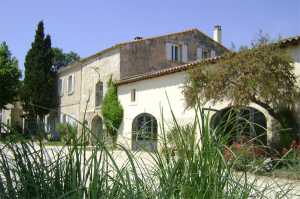 Located at 17 km from the Marais du Vigueirat, the Mas Ballot welcome you in an accomodation for 6 persons in a typical house, classified 4 stars accomodation (price based on the number of people and period od the year). Its owner, who likes birdwatching, photography and astronomy, will guide you in you choice of Nature activities. This old barge became an eco-friendlyhotel and restaurant, is located in the peaceful setting of the Van Gogh Bridge in Arles. You’ll find an unusual and gourmet restaurant. The Chef presents a Southern cuisine favoring organic and short circuits. Composed of 8 cabins, hotel space is treated in a simple contemporary style. An atypical place where peace and tranquility reign close to the city ! At the heart of a 12 hectares estate between meadows and rice fields, this guesthouse is located inside a traditional Camargue farmhouse dating from the eighteenth century. You can relax in the 4-hectare communal garden and relax in the sunny lounge. Five beautiful and Provencal-style rooms all equipped with bathroom and toilets are available for a total capacity of 13 people. A breakfast is served in a large living room or on the terrace. Lounge with TV and Wifi. Car park with two sheltered places. Home horses possible. They have signed up to the European charter for sustainable tourism. Near the city center, Lou Cigalou is a furnished air-conditioned apartment of 85 m² with 2 bedrooms for 4 persons. Classified 4 keys by Clé Vacances and granted 5-star status by the prefecture. Located on the ground floor of the house owners, this apartment for 4 persons consists of a living/ dining room with fully-equipped kitchen, one bedroom with one bed with direct access to the bathroom, one bedroom with 2 trundle beds/ 1 person, an office area, a bathroom with walk-in shower and laundry area including washing machine and dryer, a toilet, a terrace with garden furniture and an electric barbecue. 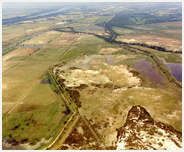 They have signed up to the European charter for sustainable tourism with the Camargue Regional Natural Park.